As you will see from our prayer requests below we currently have many pieces of the puzzle that the Lord is moving and placing in interesting spots. Our goal is Connect a Timothy Culture in the Church and it appears that the Lord is ramping up the opportunities to connect and help others connect the way that Timothy did in the early Church. Each item listed below is both a praise for the opportunity and a request for further prayer as we either follow up or move further into what has already started. Thanks for praying and please connect with us and let us know how we can be praying for you and your ministry. Our third Helping Hands Resale Shoppe located in Peoria Heights is doing great. We have been sharing funds with local charities for almost a full year now. One area that has been a challenge is finding regular volunteers who can commit to coming regularly and will be part of a volunteer schedule. 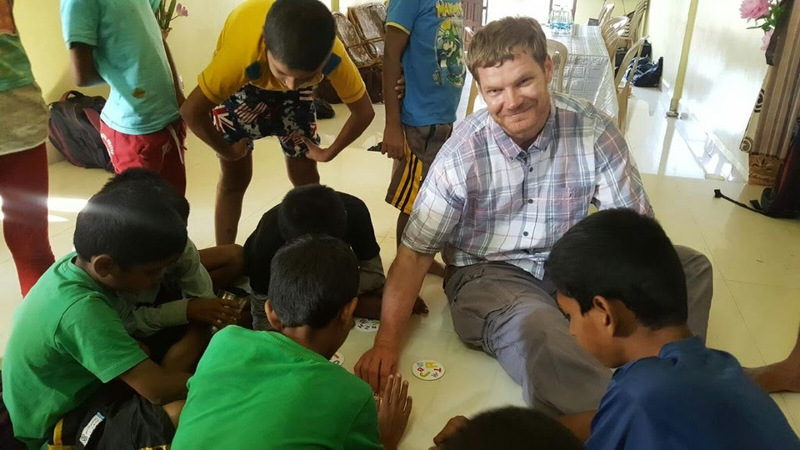 Please pray that our manager Toni and the others involved in this ministry will make connections that allow for more volunteers. Also, if you live near Peoria please consider joining Toni's volunteer staff. The shop is open Tuesday through Saturday from 10am until 5pm so if you can help our regularly please let us know and we will help you get involved. Make sure to block out July 14th on your calendar. We will be joining many churches, ministries and businesses in the Peoria area for our third year of an all day festival to bring the Body of Christ together. This year we have secured Glen Oak Park in Peoria as the site for this all day music and ministry festival that will also be a fund raiser for Midwest Food Bank. The stage will be full from Noon until 9 p.m. with some amazing music, the speaker tent will have great seminars all day, the food vendors will be providing delicious food for the whole family and the exhibit booths will give ministries and local businesses an opportunity to show their commitment to the community as well as tell others about what they do. This year the team planning this festival has come together with a shared vision and excitement that we believe will create an opportunity for the Spirit of God to move in our community and spark harmony within the Body. Please pray for this event and try to come out and enjoy the day. We are currently seeking sponsors so let us know if you have any ideas of businesses or churches that might want to help with the cost of this event. This month we would like to ask you to pray for one of our teams heading out as part of an ongoing commitment to our partners in Mexico, ask for prayer for our new internship program and celebrate our ministry through resale locations in three different towns. All of our prayer focus this month points to a God who loves His children and is creative in how He helps us accomplish the task He laid before us. 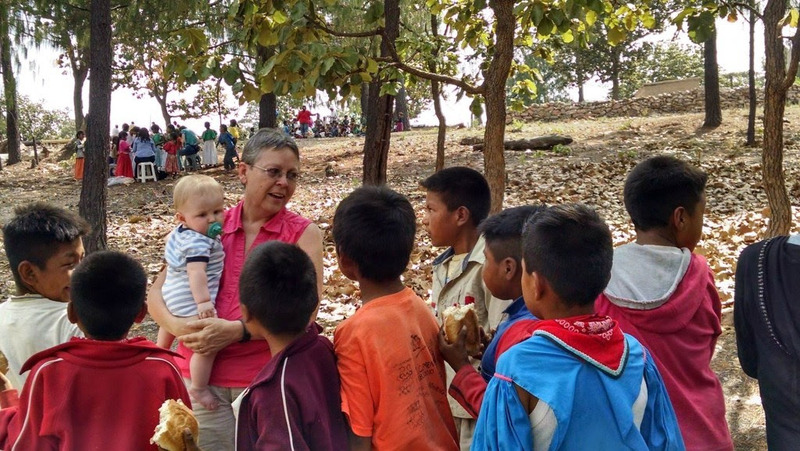 We are blessed to have you pray for these and our other ministry opportunities. Please let us know how we can pray for you, your ministry and your family. Please pray for our full Mexico Go Team heading out on February 23rd to serve Lowell and Sheri Glick in Zacatecas Mexico. 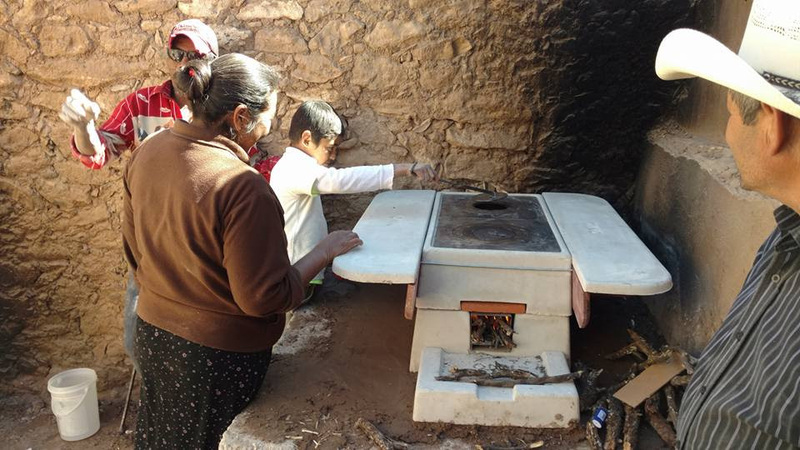 This team is part of our commitment to send two teams per year to serve our good friends there by installing smokeless stoves in every home of the remote village where the Glicks bring the Gospel and work toward planting churches. Please pray for safety in travel and God ordained appointments to share the love of Christ! 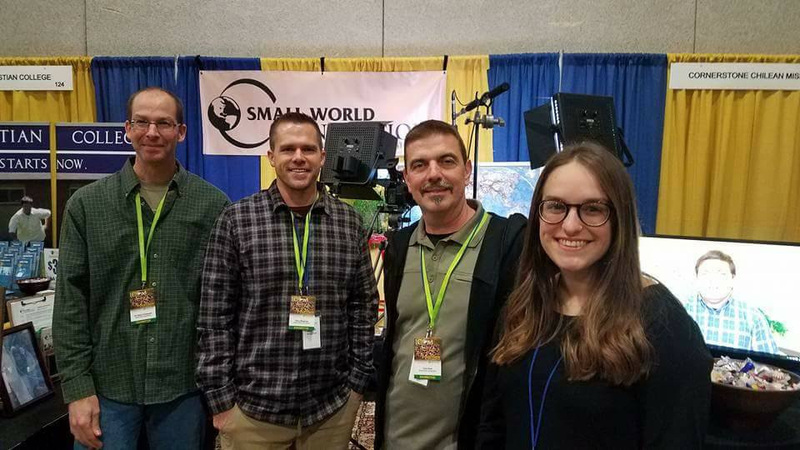 Please pray for us as Small World Connections will begin offering internships this year to college students. We have internships available focusing on both business and missions. If you or someone you think would be an asset to our ministry want to know more please send us a private message. Our hope is to find more students like Timothy who want to help us connect a Timothy culture in the Church. 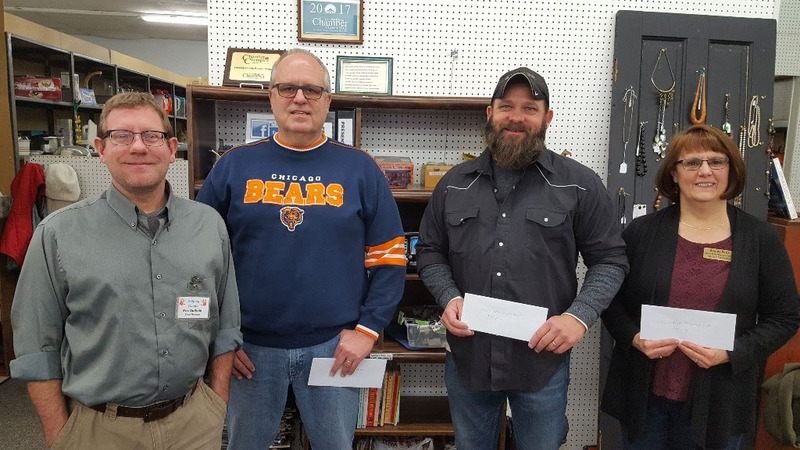 Peoria Heights Helping Hands Resale Shares Proceeds from January! during our first ten months in Peoria Heights. Pictured from left to right are: Rob Berg accepting for St. Thomas Food Pantry; Store Manager Toni Craig-Troxel; Amanda Franklin accepting for Pediatric Resource Center; Jill Wright & Jersey (Service Dog) accepting for PAWS Giving ...Independence; Joe Mitchell accepting for Illinois Central Christian School. Thanks for all of the great support and donations! Please stop in and talk to our manager about how you can get involved. We are located at the corner of War Memorial Drive and Monroe Avenue – 1003 East War Memorial Drive. 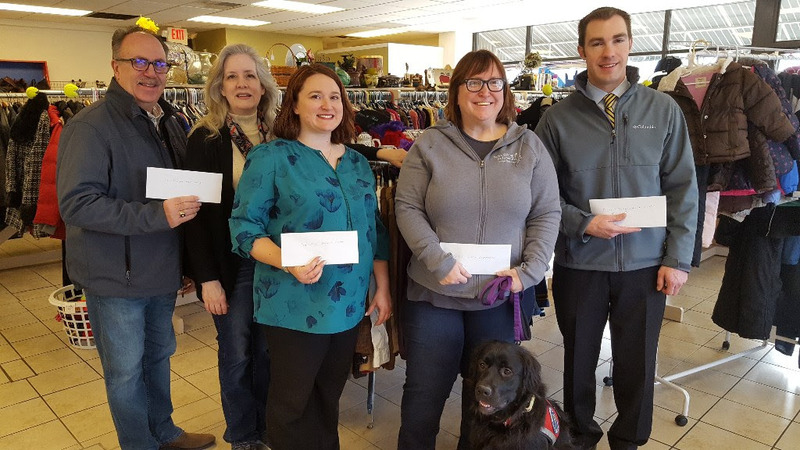 Canton Helping Hands Resale Shoppe Shares Proceeds from January! Helping Hands Resale Shoppe gave $2,839.50 of proceeds after expenses to local charities for the month of January. Pictured from left to right are: Store Manager Eric Duffield; Brad Burkhead accepting for New Tribes Missions; Kent Ulm accepting for Youth Life of Farmington; Brenda Potts accepting for Spoon River Pregnancy Center. 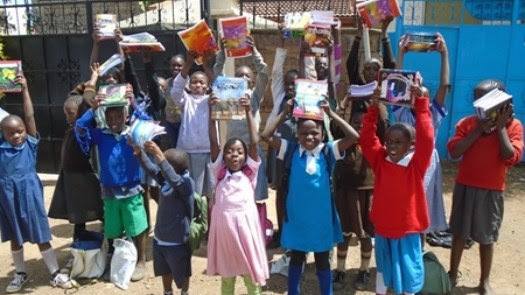 Thank you for shopping and supporting us so we can give funds to great organizations like these. Come see our remodeled book room. We are located at 105 N 1st Ave and are open Tuesday through Saturday 10:00 am - 5:00 pm. Donations are accepted during open hours. Info at helpinghandsresalecom or facbook.com/cantonhelpinghands. Chillicothe Helping Hands Resale Shares Proceeds from January! Chillicothe Helping Hands Resale Shoppe recently passed out $8,708 to local and international organizations from the proceeds after expenses raised during the month of January to help our community and other international charities! Pictured from left to right are: April Ressler – Store Manager accepting for Small World Connections Ministry, Megan O’Reilly accepting for Good Food Recovery, Marlene Kent and Mary Baker accepting for Altrusa International Scholarships, Pastor Bob Hentrich accepting for Mexico Mission Trip and Rachael Baker-Christophel accepting for CrossWord Café Youth Center. locally and around the world! New Year is a Great Year! Hope you are having a great year already. We have seen the Lord open some amazing doors and our plans for 2018 will take us in some new directions. Already we have seen some of the teams from last year develop into ongoing ministry with our target area partners. Likewise, this month we want to praise the Lord for the completion of a video project for our partners at Juna Amagara Ministries in Uganda. Please lift up the trips we have planned for 2018 as well as some of the specific goals that will take our friends with a Timothy attitude into new areas of ministry. God bless you all and thanks for praying! 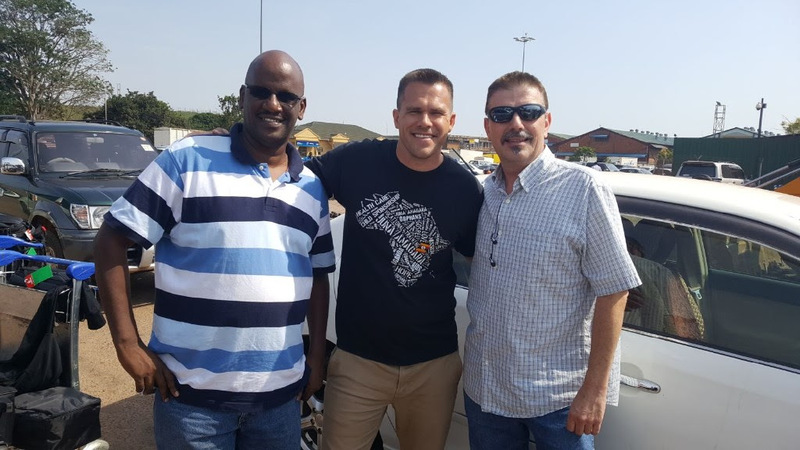 Please click on the link below and check out the ministry overview that our Communications Director Chris Brett shot and edited for our partners at Juna Amagara after traveling there this summer with our Africa Go Team Coach Steve Waggoner. What a blessing to be able to serve our partners in this way and utilize the gifts and talents He has provided our ministry. If possible try to watch in full screen mode through the vimeo website to feel impact of the project.